A perfect mover is courteous, diplomatic, intelligent, patient, humorous and even tempered. A perfect mover must be strong enough to move anything, yet gentle enough to break nothing. Durable enough to work in any kind of weather, and thoughtful enough not to sweat on the furniture. Considerate enough to go without lunch to get the job done, yet reasonable enough to accept only modest consideration for his effort. equipment. He knows all the streets and highways in Canada and the United states. He always knows the shortest route wherever he goes. A perfect mover understands people, mechanics, bookkeeping, banking, electricity, plumbing, carpentry, construction, law, medicine, real estate, horse trading and human rights. A perfect mover shall satisfy God, the customer, the company, the dispatcher, the origin agent, the destination agent, the port agent, and his wife when he manages to get home. A perfect mover is thought to have the ability to prophesy the beginning and the end, be a healer of problems, a worker of miracles and to understand all words and tongues. The perfect mover sounds like a dream! 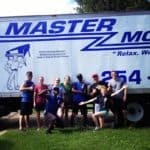 Our movers know how to make this happen! One doesn’t always realize what is expected of their mover. 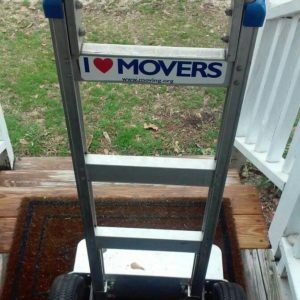 Sounds like an easy enough job, a lot goes into being a good mover than just knowing how to move furniture. 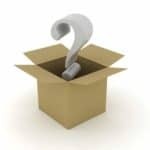 Our movers take their job seriously and they truly care about each and ever customer. That’s the Master Movers way.